Hi again, here we are at the end of May to go through the month in snapshots. The weather this month was unusually mild and even summery, and it was lovely and often quite hot to be outside. We took plenty of strolls around the garden looking at things. 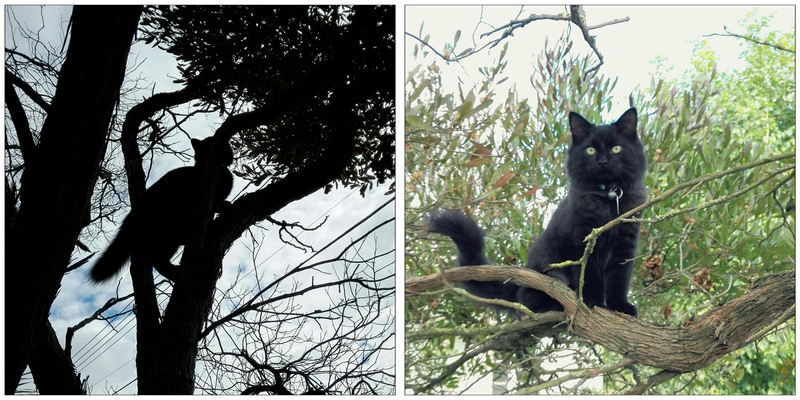 I thought about the work ahead, to do when the weather is a bit cooler and the growing season has stopped, and the cats chased things and climbed trees. It's really been a beautiful end to the season. 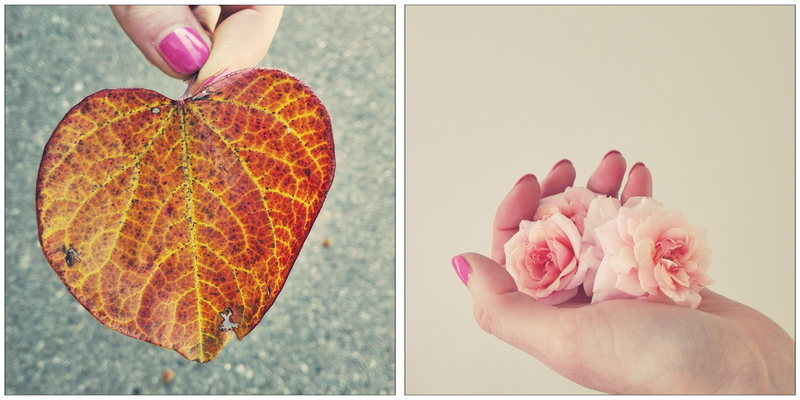 There are autumn leaves and colour everywhere, and the last of the roses to be picked and admired. 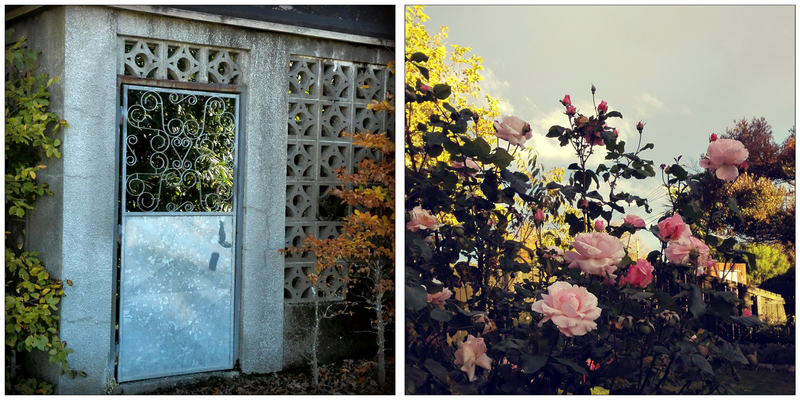 Some more gorgeous autumn scenery... left, the fernery at the Timaru Botanic Gardens, right, Queen Elizabeth rose in my front garden. Kitten pics! 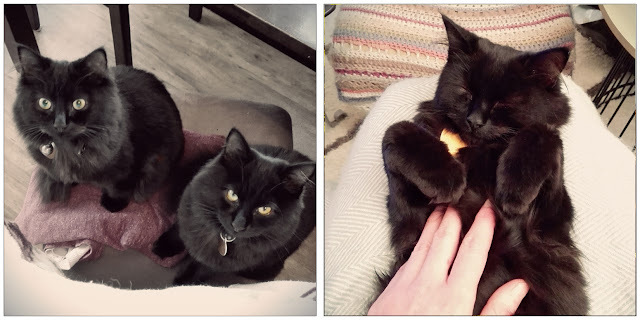 The boys continue to grow and be adorable. It's time for bringing in leaves and seedheads and making autumn arrangements. 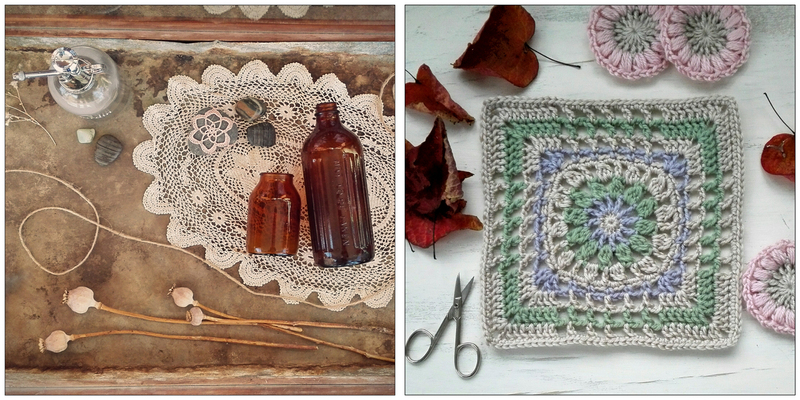 Some more of the month's crochet. I painted my blocking board and used it to block Circlepuff Squares. 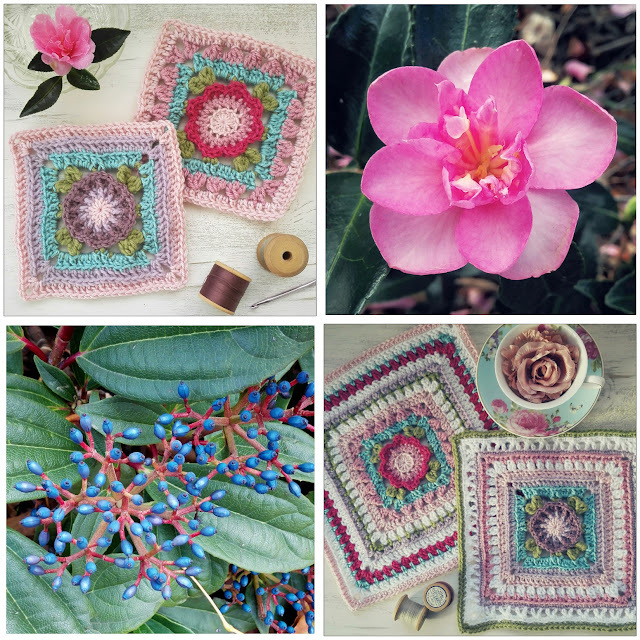 I also made and blocked more Jan Eaton squares. I guess I didn't have enough projects on the go, so I started a new one. These squares are Jack and Lydia from the Sophie's Universe blanket pattern. I'm absolutely dying to make a Sophie one day, but in the meantime these squares were perfect for this project, which will be a project bag. A simple cube with a square for each side and some handles on top, and each square will be different aside from the central motifs. 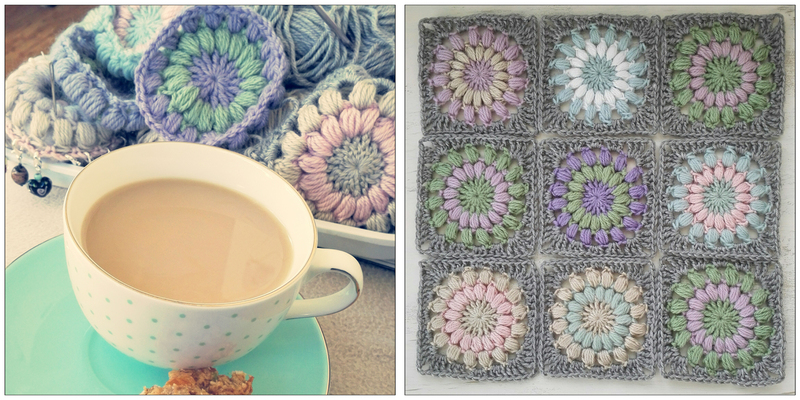 So they have been a lot of fun to work on, mixing and matching colours and stitches for each round. Also in this collage is some autumn garden beauty - camellia Elfin Rose, and brilliant blue viburnum Davidii berries. For a few years now I've had it in the back of my mind that I would like to learn to knit socks. Hopefully, this will be the year that it happens! I've been following the YouTube podcast Crafternoon Treats, and the host Kathryn is in the similar position of being a crocheter wanting to learn to knit. She recommended the Linus shawl pattern as being a good one to start with. So I found the pattern and ordered some yarn and needles, and I've been knitting away, very clumsily at first! I'll go into my knitting more in another post. This yarn is from Wool Warehouse in the UK, and I really hope I like sock knitting as I have a good stash here! Even with postage and the exchange rate, it was cheaper and a much better selection than we can get here in NZ, so I'll be ordering from there again. I had another piece of happy mail at the end of the month - a beautiful ATC from my talented friend Mayumi in Japan. 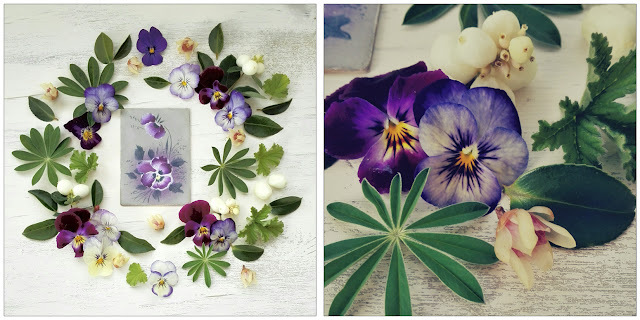 It's been handpainted and stencilled with the lovely pansy design. I love the vintage style of it and had great fun laying out this wreath to photograph! 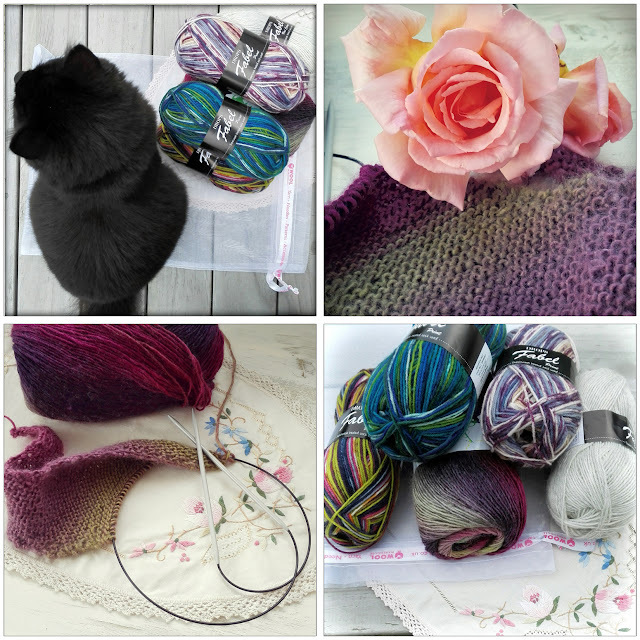 It's been a pretty good month really - good weather, plenty of craft and pretty things. Let's hope June is filled with more of the same. Beautifully presented post this time Ruth. You're very talented at your crochet and your kittens are growing up fast,so healthy and cute. 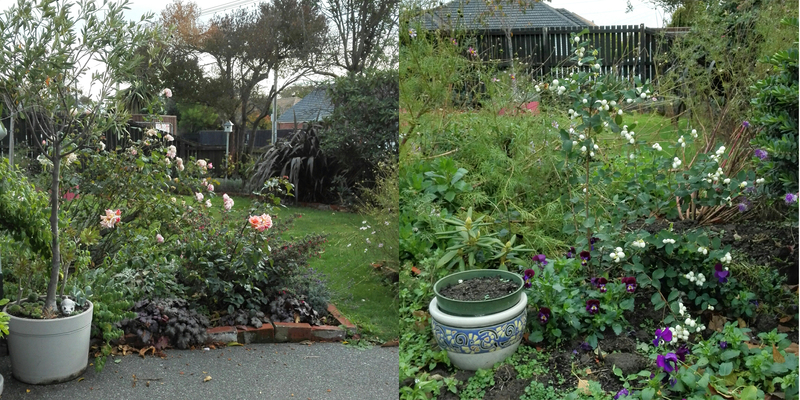 We moved back home end of April after earthquake repairs of 8 and a half months so you can imagine the state of our garden.Still we'll knock it back into shape and am intending to plant more veges amongst the decorative plants. My Pinterest board on Edible Gardens is growing by the day. 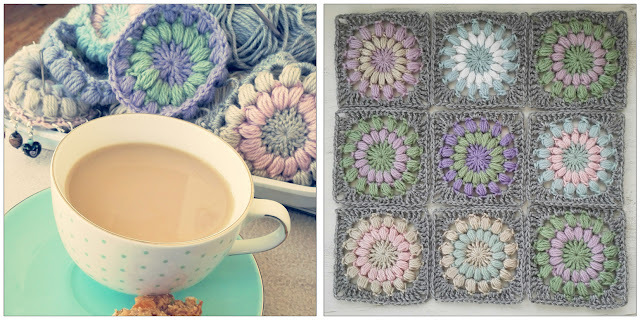 I'm a bit of a knitter but never tried crochet but would like to start off with something easy. Any suggestions would be appreciated. Thanks Josie! Lovely to hear from you. Repairs are a nightmare aren't they, I hope you are pleased with the result. Yes, I can imagine the garden! At least growth has slowed now and you have winter to work on it! Or you could just look on Pinterest for different square patterns and make whatever takes your fancy. 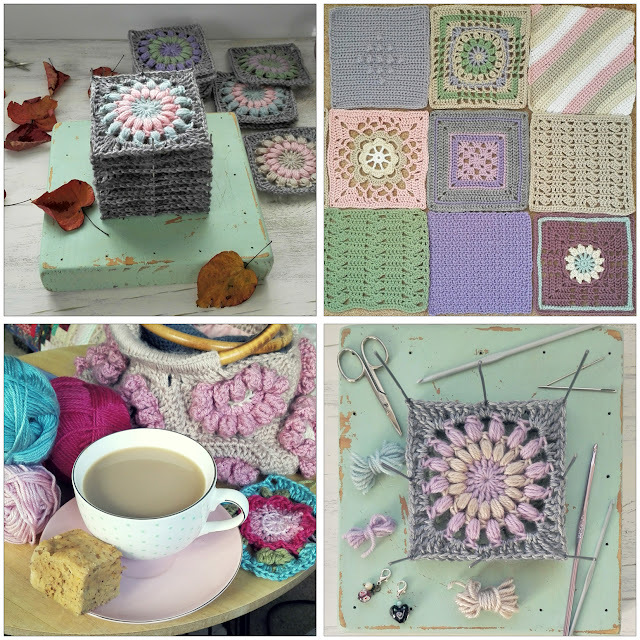 The Jan Eaton book 200 Crochet Squares is also a great resource. Thanks Ruth. Will have a look.